Marketing and finance often seem destined to clash. The common misconception is that marketing’s sole purpose is to spend money, while finance does everything in their power to throw up hurdles to spending. Marketing focuses on building quality relationships and creating brand equity, while finance has an, admittedly sometimes myopic, focus on hard numbers and empirical evidence. Let’s examine how we can help marketing better communicate with finance and bring these two opposite ends of the spectrum together! We are all familiar with the saying ‘it is better to give than receive’: If marketing and finance applied this principle to their interactions the entire company would reap the benefit in the long run! Accounting can often be over protective of financial data and systems, and rightfully so – when things go wrong, everyone looks their way! 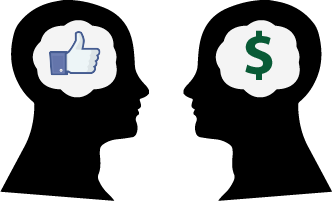 Take on the responsibility of proving your marketing efforts in language finance can understand – data, not Facebook likes – and you will find that your finance department will be a lot more receptive to your efforts and requests. Put yourself in accounting’s shoes and understand hesitancy | Understand that often times finance is not questioning the value of marketing, they are however questioning how to quantify the results to the effort/cost. Marketing is not a perfected science and your mere desire to track marketing ROI will show your finance department that you too have the company’s bottom line in your best interests. Establish desire to measure marketing ROI | The single biggest hurdle with communication is the illusion that it has taken place! Don’t sit back and assume that your finance department is aware of your desire to be a metric-driven-results-producing marketer. Get the conversation started! Think about data needed to do your job better | This can be a tough one! We suggest starting small and working your way up. Doing so will allow you to include finance in the discussions regarding your marketing planning, and help you better understand the value of the metrics you are tracking. We hope that you are able to apply these tips to start a better dialogue between your marketing and finance departments. Improving the synergy between these departments will result in marketing receiving more support and executive buy-in, while finance is able to capture the analytics and financial metrics they crave. Ready to take your conversations to the next level? Check out this on-demand webinar to see how marketing and finance can team up for greater results! What’s the biggest nuisance of every company? What is that one activity that makes almost every employee groan with boredom? Timesheet completion! Getting employees to complete timesheets on time and accurately is a thorny problem that plagues many firms. While it can be a laborious process, it’s also an enormously important part of the accounting function. Wendy Gustafson oversees accounting and human resources at Full Sail Partners, Inc. With 25 years of accounting experience, including 12 years in the architectural and engineering industry, she is always prepared to guide clients developing financial solutions and best practices using Deltek Vision®. As with many financial professionals, one of the biggest curses of Wendy’s existence is … you guessed it, timesheets! Wendy decided to do some research and find out how “the best of the best” in the industry deals with this small, but vital, matter. Michael Scott is the co-manager of the wildly successful Scranton, Pennsylvania branch of Dunder Mifflin, the New York City-based regional paper and office supply distributor, and the central character on NBC’s mockumentary “The Office.” Let’s see how Michael handles this. Wendy: So, Michael, what’s the key to getting your employees to complete their timesheets? Michael Scott: Here at the Scranton branch of Dunder Mifflin, we don’t believe in timesheets. Because then we would have to pay our employees based on the hours they actually worked. And we don’t want to do that. We find that paying our employees for their actual hours really hurts my numbers, and I end up looking bad. Wendy: You know, of course, that you still have to pay your employees, even if they don’t submit timesheets. Michael Scott: Oh…uh, of course was just joking – you need to lighten up [smiles and laughs uncomfortably]. We used to have a “timesheet trophy” that employees kept on their desk if they were the last to submit their timesheet. Then we had David Wallace sit at employees’ desks until they completed their timesheets. But he got mad at that, because I was calling him to drive from New York every week. Wendy: Now that many employees are virtual, what do you do? Michael Scott: I have found electronic shaming successful. I post pictures of my employees with little signs around their neck stating, “I was late submitting my timesheet” on their Facebook pages. You’ve seen the dog shaming pictures …they always make me laugh [chuckling to himself for several minutes]! Oh, and we got Ryan to set up a twitter account #timesheetyouarelateagain. We are up to 9 followers! Michael Scott: [Interupting] Blah, blah, blah … you corporate eggheads are all the same. Employee communication, streamlined processes … I don’t know what any of that stuff means. You know [leaning forward] the best way to truly motivate employees? Buy them stuff! I take most of my weekly paycheck and buy my employees things in order to get them to complete corporate forms. Why just last week, I bought Stanley a refrigerator. Sure, I don’t have much left over for my own needs, but it’s completely worth it. I look like a corporate hero and my employees are happy! Wendy: Well Michael, this has been an interesting and enlightening conversation! So why are timesheets so important? So how do you get timesheets submitted? Once employees understand the importance of timesheets, there are a variety of ideas to get those timesheets submitted accurately and on-time. Some have suggested withholding paychecks until a timesheet it submitted, but know that there are laws that protect employees for non-payment due to lack of timesheets. There are other ways for companies to incentivize employees to take care of this function. First, after you’ve explained the importance of timesheets, you could try some of these serious (and perhaps not so serious) ideas. Give late employees a paper check instead of the more convenient direct deposit. Make timely submission a portion of the performance review process. Incentivize positive behavior by offering awards for consistent timely submission – gift cards, paid days off, office lunch, etc. One firm installed a kegorator with a homemade card scanner that checked to see if the timeslip had been submitted. If so, employees could pull a pint, reported AdWeek. Did it work? Oh yeah. Timesheet completion was up 90 percent. People drinking in an ad agency -- that's a novel idea, [but] is there any way this is a Bad Idea? No. Heck no…In all seriousness though, a lot of businesses freak out when alcohol is involved. And it's for good reason: injuries, social host liability, sexual harassment, general stupidity -- whatever. We'd venture a guess that the automated dispenser only put out once per timesheet. Giving someone a single beer as an incentive is one thing -- throwing a full-on kegger is a whole different (and legally dangerous) matter. Glad we’ve figured that out! 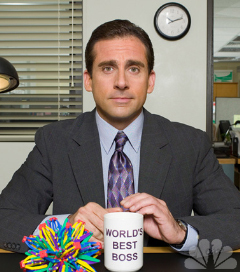 Despite all these ideas (including Michael Scott’s “buying them stuff”), the absolute best way to get employees to submit accurate and timely timesheets is to make sure you have the most efficient timesheet system in place. Making the process clear, understandable, and efficient will ensure that you get those necessary timesheets making your firm, once again, a smooth sailing enterprise. Among many things, today’s professional service firm managers are constantly striving for the most effective and efficient way to operate their business. They are inundated with data and, while reviewing latest financial results, finding the right business indicators for planning, understanding modern marketing trends and, of course, keep up with technology – simply managing the business can fall through the cracks. If your business is thriving, then it is evolving, and you need technology that can keep up with it and keep your business moving ahead. Enter open architecture (OA). Open Architecture is when a systems specifications are accessible and allows further system development. Additionally, systems that allow an application programming interface (API), new system features can be developed and integrated with other software. Efficiency – Time is precious (not to mention expensive). Open architecture systems allow you to reduce duplicate entry and incomplete processes – reducing errors and omissions. When your software systems “talk” to each other (for example the information from your opportunity system automatically converts to a project when awarded) the data is automatically transferred between the systems eliminating the needs for staff to duplicate entry and reducing errors. You can also build in validation requirements to ensure YOUR business process is followed. Connectivity – Access is important. You need your data regardless of which system you’re looking at or when you need it. An open architecture system will share your data with other systems and allow you seamless access to it. For example, when you are awarded a project that meets certain requirements that project information can be automatically uploaded to your website – keeping your site relevant to YOUR business. 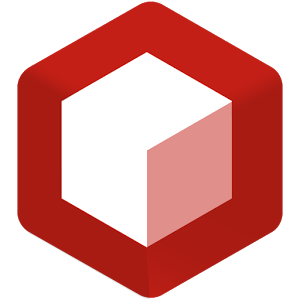 Now that we know what open architecture is, let’s talk specifically about how an OA will help your professional services firm. An ERP like Deltek Vision allows even those with limited IT knowledge to customize and build business intelligence processes through the use of workflows. Duplicated or unnecessary efforts equates to lost time. Alternatively business processes that are not followed can spin cycles down the road (that is why the process is there in the first place – right?). Many of these items are easily resolved through workflows where some can take advantage of the flexible software solution already available, while others may need to take it to a higher level to tailor to their unique requirements. The possibilities for innovation are limitless with a system that has an open architecture. While technology fads come and go, it can be hard to tell which ones you should ignore and which you should embrace. The benefits of open architecture are clear – flexibility, efficiency and connectivity. But don’t go at it alone – you have better things to do with your time then sifting through mounds of technical documents – reach out to your friends at Full Sail Partners to consult on how open architecture can make you shine. Our Management of Change series culminates with this final and very important piece. In discussing change management, one concept keeps bubbling to the surface as the very keystone of change, the very bedrock upon change is founded … the people. And who better to understand, to nurture, and to create an environment where change is embraced than Human Resources. by optimizing the effectiveness of its employees. The key of this definition to note: in order to continually “maximize productivity” and employee effectiveness, the organization, i.e. the people as representatives of the organization need to embrace change. One of the main jobs of HR is hiring the right people for their organization: people who will pick up the banner and personify all that their organization holds dear including an understanding that change is inevitable and good. But it’s not just getting the right people in the door, it’s knowing those very employees: recognizing their strengths, understanding their weaknesses, and appreciating both. No one should hire employees who aren’t good at their jobs or who don’t feel good about doing them. HR, then, must contribute to identifying and taking advantage of their employees’ strengths, so that employees are comfortable in their ability to contribute and are trusting that their leadership sees and values them. People resist change for a variety of reasons but high among them are a) change is too hard, and b) they are afraid. But where employees are valued and have trust in their leadership, companies can create a stimulating environment where change is welcomed. • Change leader/owner, taking full responsibility for the planning and implementation of their own change project. • Change educator, bringing specialist knowledge and expertise to help [people] understand more about the structure and process of successfully managing change. • Change advisor, working with [people] directly through the process of designing and implementing change, challenging and guiding them to get it right. • Change participant, being part of a change that affects them personally. It’s easy to make changes to spreadsheets, to goals, and to bottom lines. But it’s hard to change people. It’s hard unless you have the right combination of satisfied, challenged and valued employees and with the help of professional Human Resources organizations who are aware of their role, change can be easy … well, easier. Payroll, the reason we drag ourselves out of bed and into the office. Payday!! Everyone’s favorite day – it is especially nice when it is on a Friday. As happy as payday makes us, if you are the one stuck processing your payroll software can be a total PITA. When looking at a way to process payroll in-house, a system that integrates with your existing ERP system, such as Deltek’s Vision, is priceless. You can have a one stop shop for employee set up, employees can enter their time and it is automatically available in payroll when posted. Since everyone is already used to the system, the basic information is already there. If you determine that in-house is the way to go, it’s important to make sure your payroll software is flexible and provides the features that matter. So what type of flexibility should you look for in your payroll software? A couple features include the ability to add codes when you need it or to track your company contribution to the employee benefits. An example of an additional code is the ability to add an after tax code to reimburse your employees for expenses. This allows you to provide your employees one check for payroll and expenses. An example of a contribution code would be if you offer a 401K plan, the company match is your company contribution. If you offer health care, the portion covered by the company is the company contribution. Tracking this information on each payroll can simplify your accounting process (getting the costs into the right “bucket”) but can also allow you to easily create a total compensation report at the end of the year showing the employee the total value of their compensation package including benefits (not every service offers this either). Either way you go, an in-house payroll software or outside payroll service, look for the process that will provide you the most flexibility and integration with your current ERP to make your life easier! When you improve project collaboration, you improve your organization’s ability to develop innovative products and processes. What are some specific strategies you should employ to get to a more collaborative environment? 1. Focus on goals. 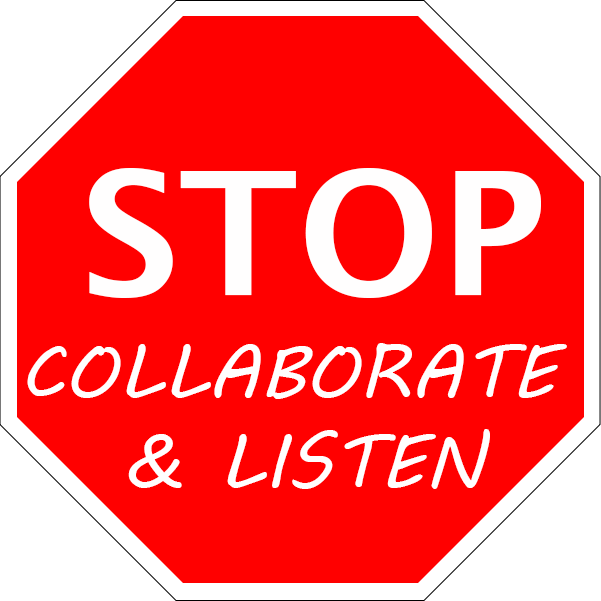 The most effective project collaboration tends to be aimed at a specific goal or goals. So a natural place to start the process is with a discussion of the pain points/problems for a given project that the team is trying to address. Starting in this way ensures that team members share a specific understanding of what success will look like, and also makes it easier to take periodic measurements of the team’s progress and compare it against the established goals. 2. Create small, diverse, nimble teams. The best way to encourage collaboration on a team is to keep groups small and diverse. For inspiration, consider that one of history’s most prolific inventors, Thomas Edison, liked to organize his people into teams of 8 or less that included a variety of disciplines (his light bulb team, for example, included chemists, mathematicians, and glassblowers). Fortunately, collaboration tools on the market make it easier than ever to include team members not only from different parts of an organization, but from different parts of the world. 3. Build trust. To improve project collaboration, it’s crucial for team members to trust and respect one other. In a similar vein, they must be sure that management is supporting them, providing the time needed for collaboration, and giving credit where it’s due. If you’re assembling a team with members who are working together for the first time, consider team-building exercises that allow the members to get to better know each other and their work/communication styles — building cohesion and trust in the process. 4. Choose appropriate tools. We live and work in the age of the app — and that’s good news for organizations that are seeking to improve project collaboration. There are many software tools that empower collaboration — not only widely-known ones such as DropBox that facilitate file sharing, but also other, lower cost (and even free) tools for screen sharing, real-time chats and IMs, scheduling and more. Click here to read about our five favorite collaboration tools. 5. Appreciate different approaches to technology. Ultimately, you’ll want your team members all using the specific collaboration tool or tools that you select, for ease of management and cost effectiveness, if nothing less. That being said, it’s helpful to keep in mind that not everyone may be ready to adapt to the new technology at the same time (“hey, what’s wrong with me just collaborating via e-mail?”). Be realistic, and build a process and schedule that allows time for bringing every member up to speed on the new technology. 6. Allow sufficient time for success. Evolving to a more collaborative environment is not a simple or quick process. Rather, it requires changes in not only how group members work individually and together, but also in the level of trust that the individuals have in each other and in management. Try to manage expectations in such a way that you maintain enthusiasm for the new possibilities the process will enable, with the realism that success will not come overnight. 7. Effectively capture information and ideas. Last but not least, make sure your have a system to capture and store the group’s collective work, as well as individual members’ contributions. Unlike using simple email for communication among team members, the leading collaboration tools create central repositories where communication and documents can be archived for later referral — a very useful capability to have throughout a project, but especially when a key team member leaves. Gentlemen (and ladies), start your collaboration engines! Collaboration may seem like just another corporate buzzword … but for the most part, the strategies underlying it are not too different from your other tried-and-true business practices. By carefully establishing and guiding your project teams, equipping them with the most effective collaboration tools, and managing expectations appropriately, your organization can be on its way to far more innovative and responsive products and services. We all love this this time of year when EVERYONE (in management at least) is coming at you to peer into the crystal ball to see what the upcoming year will bring -- everyone else is simply wondering if they will get a holiday bonus. With all of the tasks ahead for year-end, you may feel as though you will be lucky enough to make it to the New Year, let alone forecast what is going to happen! Budget, budget, toil and fudge it (not as well-known as bubble, bubble, toil and trouble, but more appropriate). Most often you are expected to reach out to everyone in the firm to pull together a web of disparate “visions” for the various divisions of the firm, get buy in from everyone, set pay rates and bill rates, set annual goals for every person in the firm and publish your findings so that everyone can have proper “visibility”. Just when you have it all together and about ready to go, someone transfers or quits or gets hired and everyone wants to you to “simply update the budget”. Fun times – just before the holidays. 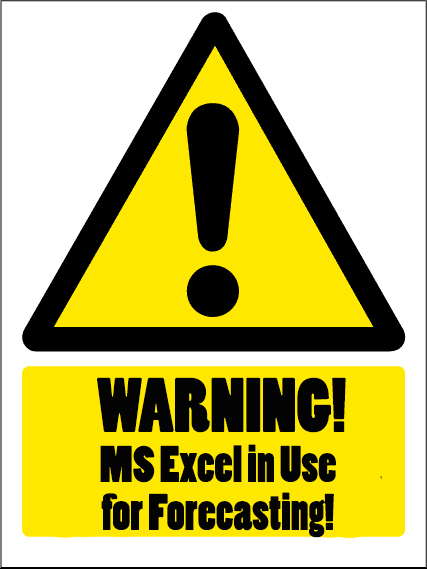 Unfortunately, if you are attempting to manage the undertaking of forecasting in Excel, you are causing yourself unneeded stress in an already stressful situation! What are some of the hazards to be aware of when forecasting in Excel? Multiple Spreadsheets – Typically when creating a budget in Excel you end up with multiple workbooks, at a minimum one for every department that will then roll up into a firm-wide budget. And in each of these workbooks you can have multiple spreadsheets to total up the workbook (maybe a spreadsheet for each service type or for each employee). As you move these workbooks, you run the risk of breaking links within each individual spreadsheet. 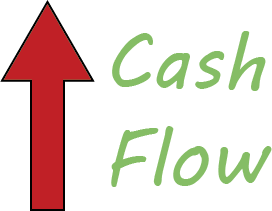 Changing Dynamics – When you create your budget workbooks, you usually create them to “map” the way the firm currently does business. For example, at an AEC firm, the Survey Department staff only works for the survey department and the Water Recourses staff only works for the Water Resources department. The issue is that the department heads might have hatched a plan to share resources to maximize efficiency. But if you have all your workbooks mapped out and they come back with their scheme you will need to “revamp” all your work. Oops, I Forgot – When you created your workbooks you simply forgot a chart of account numbers or forgot that management wanted to add an employee in the corporate office. Once you have everything mapped, if you have to add something, you run the risk of breaking links (bad) or creating incongruent links (worse). An incongruent link would be adding a row in the Survey Department called “Survey Supplies” but forgetting to map to the row in the summarized data called “Interest Expense” because the Survey Supplies is only in the survey department and Interest expense is only in the corporate department. It Doesn’t Add Up – So you have everything set-up and summarized and you have an acceptable profit. However, when you pay closer attention, you realize that in January, the sum of your departments properly add up. Somewhere, something is broken. What can you do to avoid or mitigate these hazards? Meet Early – Before you even get started down this long road of forecasting in excel, try to meet with the department heads to get an idea of changes they may have planned or discussed. If you have suggestions for them to be more efficient (for example work share), get it out there for discussion and resolution before you get too far down the usual primrose path you find yourself following year after year. Share Information – First figure out if there is truly a place where you can put your workbooks, create the links, and share with the appropriate staff. This could simply be a shared drive in your network. If you need to limit access for the workbooks (for example the San Francisco Engineering department head can only see the San Francisco workbook), this can be achieved via the “password protection” in Excel (found in File/Protect Workbook/Encrypt with Password). Be sure to make a list of passwords for each workbook because if you lose them, you have completely lost your ability to use the workbook. If you can’t create a shared drive, use your personal drive to save your workbooks until complete. Then you’ll want to only print final data. Having links break when you move your workbook is frustrating. If you do have to move workbooks or update tab names, you can use the Update Links in Excel (Data/Edit Links/Update source) to get the correct mapping. Be Consistent in Your Workbooks – Use the exact same chart of accounts and structure for each workbook – even if the information doesn’t apply to your department. If you are consistent in your account listing and your workbook structure you do not have to worry about incongruent data. If you realize you have to add an account number, make sure to add the account in the same row in every workbook and you can update your summary easily. If you have utilization in your engineering department, have it in Corporate –even though it doesn’t apply – makes it easier to simply copy and paste formulas throughout the entire summary workbook. Create Summary Rows/Columns – In your summary workbook, when you have subtotals in rows or your grand total column, use the column/row formulas to calculate these; DO NOT use the sum from the individual workbooks. However, after your Total Column, add a column that adds the total columns from the individual workbooks to compare your results. This will allow you to see if there is a mistake in any of the individual cells. Also, at the bottom of your summary workbook, add a section that shows the profit from each department. This should add to the total in your summary. If it doesn’t, then you may have to do some research into what is causing the issue. We hope that the above tips help you avoid some of the most common hazards encountered when accounting and forecasting in Excel. With year-end approaching quickly, best of luck getting your accounting and forecasting in order, so that your firm can ‘excel’ in 2014! If you are interested in taking your accounting and forecasting functions to the next level, check out Deltek Vision, the industry leading Enterprise Resource Planning (ERP) software for A/E and Professional Services Firms! Business leaders have any number of sophisticated computer programs and models to help them predict future business results. Despite these resources, however, in its essence financial forecasting is still a guessing game. That being said, there are several fundamental strategies that can improve one’s chances of making accurate forecasts. 1. Understand how and where you’ve succeeded. Whether your sales most often result from calling into existing clients to find additional work, from cold calling to purchased lists, or alternate sources. The extent to which your success has depended on the person doing the calling, the script used for the call, the number of contacts made, or other factors. The lasting impact of sales — i.e., which sales turned into continuing relationships and additional work. Of course, there are many factors that affect this statistic, but it can still provide useful insight for your financial forecasting. The key is investing the time and energy needed to gain fact-based insights into what has worked — and not worked — in the past. 2. Take a cold, hard look around you. A second essential strategy of financial forecasting is to look closely at your current operating environment, and conduct a brutally honest analysis of your strengths, weaknesses, threats and opportunities (SWOT). What is your reputation in the marketplace — what are you known for doing well, and where should you try to improve? Is the local or regional economy growing, stagnant, or shrinking? More specifically, what is the condition of the economy as it affects your clients? Are there factors that could encourage your clients to maintain or even expand the services they are buying from you? Are there conditions that might threaten projects that they have planned with you but not yet started, or that could prevent them from engaging with you in the future? What is your competition doing to take advantage of the current market? Where are they weak, and how can you exploit that weakness? The underlying strategy in doing your SWOT analysis is to be totally honest and realistic about where you excel and where you come up short — and determine what you can realistically achieve in your competitive environment. 3. Test your assumptions and adjust as necessary. 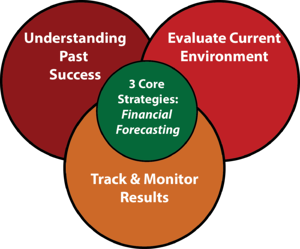 A third essential strategy in effective financial forecasting is to track and monitor your results. There is a range of ways to do so, but based on our experience working with professional services firms, one of the best is to invest in a purpose-built ERP such as Deltek Vision. This solution can provide a firm with up-to-the minute, comprehensive visibility into all of the assumptions and results related to its financial forecasting. Just as importantly, it connects and organizes data from both the front office (i.e., project) function as well as the back office (accounting), and automates a wide variety of essentially manual processes — including Customer Relationship Management (CRM), business development and more. Not only will the insight you gain help you tweak your assumptions to improve future forecasting efforts, but more importantly, you can make midcourse corrections to keep your firm on course. Whether you use one-off spreadsheets, software programs for specific functions, or a comprehensive solution like Deltek Vision, the key is to collect metrics that matter to you on an ongoing basis, measure results against your financial forecast, and make adjustments as necessary. You’ll never be able to see a completely accurate view of your company’s future. However, through financial forecasting, you will gain enough of a realistic sense of what’s coming that you’ll be able to stick to a plan and outmaneuver the competition.